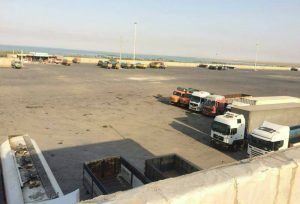 The truck drivers in Iran, have resumed their strike against their dire condition, high prices and regime’s corruption. The truck and lorry drivers of Iran turned off their engines once more on Monday the 23rd of July. 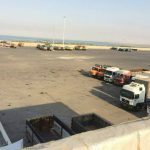 Less than two months after their last round of strikes, the drivers decided to strike once more, with news of the strike spreading quickly around Iran’s provinces in the early hours of Monday morning. By the time the workday was due to begin, drivers across the country including in Tehran, Kurdistan, Isfahan, Kerman, Khuzestan, and Hormozgan refused to begin their workday and resumed the nationwide strike. In late May and early June, truck and lorry drivers across all 31 of Iran’s provinces went on strike for two weeks. Their grievances stemmed from low wages, appalling working conditions, poor worker safety, rising expenses, and the gradual erosion of worker rights. The mullahs’ damaging policies have left the nation’s truck drivers fighting for their livelihoods. Inflation has made an already difficult economic situation even worse. In addition to soaring inflation, truck drivers have to deal with the arbitrary expenses imposed by the mullahs, including commissions, tariffs, and tolls. The mullahs have systematically robbed Iran’s truck drivers of their profits, leaving many struggling to survive in lives of extreme poverty. The strike brought the country to a standstill. Factories and businesses across Iran had to close, and petrol stations ran dry, causing huge queues for fuel outside stations which still had a supply. The regime responded to the strike with its usual repressive measures. Drivers reported intimidation and threats. Agents of the regime burnt vehicles which belonged to the striking drivers. They resorted to making false promises and concessions; however, their intentions were transparent, and the drivers resolve would not be broken. Despite the turmoil that the truck drivers’ strike wreaked on the Iranian economy and logistics sector, the Iranian public stood with the brave drivers and wholeheartedly supported their fight for fairer working conditions. The Iranian opposition, the People’s Mujahedin Organisation of Iran (MEK) and the President-elect of the National Council of Resistance of Iran, Maryam Rajavi, offered messages of solidarity to the striking drivers. Rajavi tweeted, “hail to the truck drivers”, adding, “I urge my fellow compatriots to support and rise in solidarity with the toiling drivers”. The drivers also received international support for their struggle. Teamsters, the strongest worker union in North America also issued a statement of support. It read: “Teamsters stand in solidarity with our Iranian brother[s] & sisters”.